Hi I'm Roz...an energetic, healthy and active 'nanna'!! As an older woman, I have had a lot of life experience, and of course still bring that to everything I do. I have always been an adventurous person throughout my life, run my own business for 20 odd years up until retirement, travelled the world extensively, and participated in many community projects over the years. My two children have long since flown the coup, one married, one shortly to be so and I have three wonderful grandchildren! I do not own animals at this time, but love them, having had cats and dogs in the past. I had a number of horses as a young woman..as riding was such an important part of my life growing up in the bush. 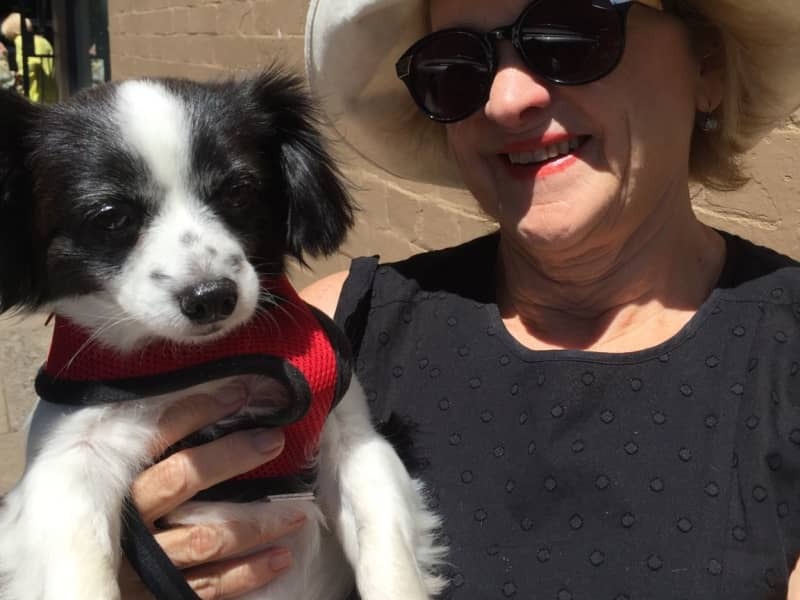 Here in Sydney I do sometimes babysit my son's Papillon/Chihuahua named Olive. Such a sweetie. And throughout May, I will be housesitting a much larger dog...a Weimaraner, for five weeks! Now retired, I love spending time walking, occasional snow skiing, painting, playing the piano (when I get it back out of storage), and being with my grandchildren. Once in my new abode I will also be involved in a number of community projects once more. I am a house proud person, like a beautiful space to live in and you would find me most reliable and caring. I sold my home on the Northern Beaches of Sydney in November 2018, and have been happily house sitting a number of homes and pets since, until my new home is ready to move into around early November 2019. The whole experience has been both interesting and rewarding, meeting lovely new families and their pets. Since December last year I have been looked after five homes on the Northern Beaches of Sydney, North Shore, Rose Bay, Sydney and on the Central Coast, with no animals being taken care of until I am housesitting a Weimaraner in May and early June.